The Past Continuous tense is an important tense in English. We use it to say what we were in the middle of doing at a particular moment in the past. Note that continuous tenses are also called progressive tenses. So the Past Continuous tense is sometimes called the Past Progressive tense. For... 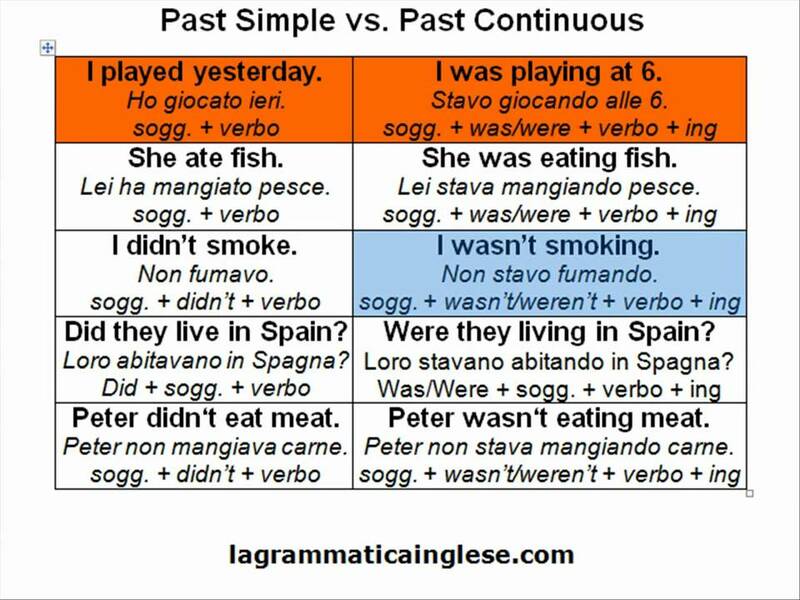 The regular past simple is formed using 'ed' and the past continuous is formed using was/were + past participle. Now I've reminded you of how to use these tenses, try the exercise below and see if you can decide which verb needs which tense. The past perfect continuous is also sometimes used in the third, or past unreal, conditional form. It's worthwhile pointing this out to students, but also reminding them that the past perfect is generally used. The exception is that the past perfect conditional is used to focus on a specific moment in time in the past. The regular past simple is formed using 'ed' and the past continuous is formed using was/were + past participle. Now I've reminded you of how to use these tenses, try the exercise below and see if you can decide which verb needs which tense. I always use them to explain the difference bt past simple and past continuous. I’ll try the other ones. Thank you for sharing. I’ll try the other ones. Thank you for sharing.